The AAU International Tournament is held on the third weekend in January each year, at the ESPN Wide World of Sports Complex, at the Disney resorts in Orlando, Florida. The AAU International tournament began in 2000, with just 8 teams, and has grown steadily, to 40 teams the past several years, and is now one of the largest and most popular men’s fastpitch tournaments in the world. The AAU International event is the first big tournament of the calendar year for the fastpitch community, drawing teams the USA, Canada, Mexico, the Caribbean, South America, including a large contingent from Venezuela, and as far away as Spain. Additionally, the teams competing in the AAU International Tournament have enlisted the services of players from as far away as Australia and New Zealand. While many back home in Canada and the Midwest and Northern United States are shoveling snow from their driveways in the dead of winter, fastpitch teams at the AAU tournament in Orlando were enjoying beautiful sunny skies, with an opportunity to play quality, competitive fastpitch against teams that they would not normally get to see. Teams interested in competing in the AAU International Tournament needs to plan in advance, as the field of teams fills up in September and October, with a waiting list of teams by November of the preceding year. The tournament is headed up by the AAU’s Debra Horn, following a long run of tournaments hosted by Alex Linares, formerly of the AAU and administered by former executive director for the ISC, Ken Hackmeister. Fastpitchwest has been in Orlando covering the AAU International Tournament since 2004, including live audio broadcasts on BallparkRadio.com. For the past several years, the tourrment and has also been covered by Al Doran, of Al’s Fastball, the most widely read website four men’s fastpitch in the world. The ESPN Wide World of Sports complex is located in Orlando, Florida, amidst other Disney resorts such as Epcot Center, Animal Kingdom, and others Disney resorts. The complex is minutes from the host and other conveniently located hotels. Florida is well known for its affordable travel and lodging facilities. The facility house four main fields, laid out in “wagon wheel” fashion, with a professional caliber two story press box in the center, which also houses the concession stand, plus two more fields just outside the main four-field hub. The fields are beautifully maintained and even provide a telephone in each dugout for managers to call in their substitutions to the press box. The softball complex shares the same grounds as “Crackerjack Field”, which is used by major league baseball’s Atlanta Braves for Spring Training. 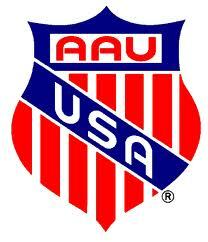 The AAU International Tournament is organized by Debra Horn of the AAU . The AAU tournament staff also includes top flite umpires, and of course, the professional Disney staff to help run the event. Click here for map to ballpark. Click here for satellite view.